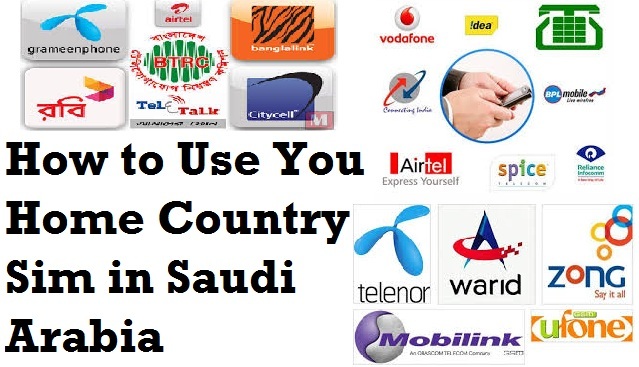 One of the blog author Numan Khan share awesome solution for using you own home country Sim in Saudi Arabia. As you know all around the world purchasing SIM and than activating it becoming more and more strict because of so much illegal uses of SIM. 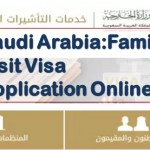 Saudi Arabia also implement strict ways to register sim now every SIM you buy from Saudi Arabia you must have to register fingerprint against that sim also provide proper identification of yourself. As Hajj season is going on many pilgrims want to buy SIM in order to call their relatives at home, also many of them want to use internet for better understanding of Haj. During hajj many sellers with desk is seen around the road which sells SIMS to pilgrims these sellers usually sells sims that were not legal and after two or Three days these sims status become unavailable. In that situation the only way to get sim is from Companies(Mobily, Zain, STC) official Customer care center but due to so much hassle and people rushing all around also pilgrim don’t have time to travel long for buying SIM. One better way is to Ask any relative or friend in Saudi Arabia to buy SIM for your and after arriving in to kingdom you register the SIM on your own name. Another way is to as soon as you arrived at airport find a Company Sales Store and buy sim by showing Passport and registration of fingerprint on the go. Still if you miss all the steps and don’t have any sim than one another way is to keep your home country sim with yourself ,try to use good Reputed company SIM. To do this you have to follow the below procedure from which you could register home country sim on STC network. 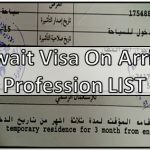 Not only this the initial registration give you 5 SAR balance valid for 3 days you need to rechage it using normal STC SAWA card otherwise the number is removed and you have to register any other number again. The number given to you is called LRN Number which is temporary.